Very nice staff and good located apartment. The while flat is clean and overall very positive. Recommended! Wery close to the tram 1,1 km ( Boraros tér ) and Spar supermarket . We liked that there is an waschmachin in the bathroom.It is wery quite naborhod. Quiete neighbor and location make of this place to great base for the trip. On the reception kind and helpful poeple. The staff is excellent! The place is ok furnished but it's dirty ... We got blonde hair and there were black hair on the floor ... yuck!! No kids - great place to stay if you have company. The area is a bit sketchy ... not the best neighborhood! Relatively central. The one member of staff that we met was very friendly. 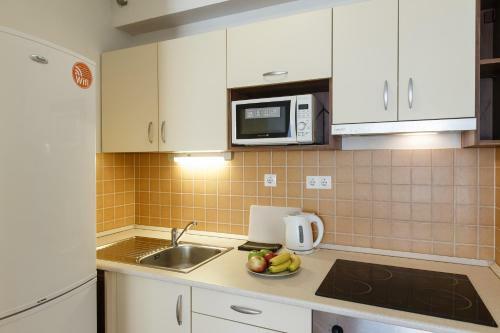 Lock in a great price for Vivaldi Apartments Budapest – rated 8.8 by recent guests! 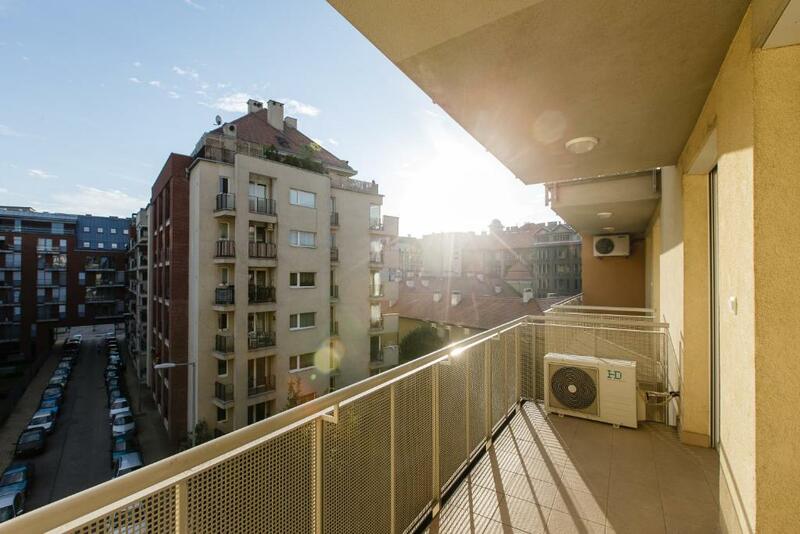 The Vivaldi Apartments are located close to the Danube river in a tranquil residential area of Budapest and offer you modern accommodations with free WiFi. 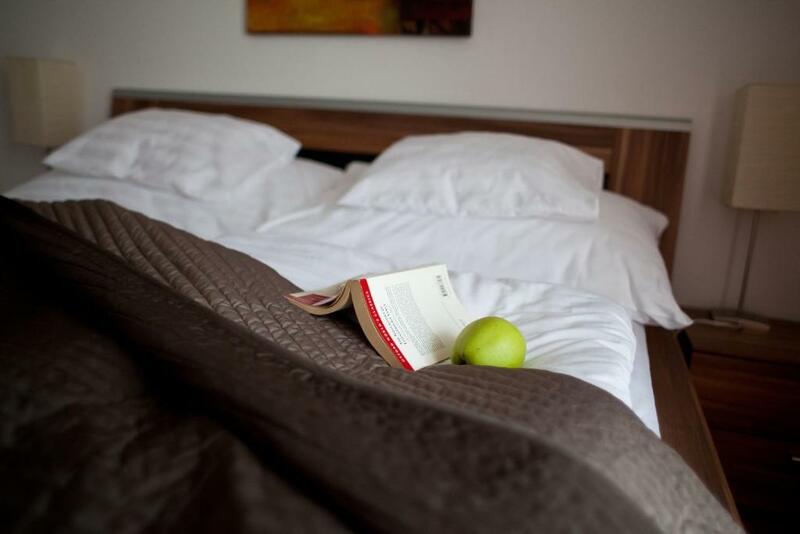 All units are equipped with modern furniture and feature a fully equipped kitchen. Internet via TV is available in all apartments free of charge. A furnished common terrace and underground parking are featured. Within a few minutes you can reach the most important sights, such as the National Theater a 10-minute walk away. Numerous restaurants and bars can be found in the immediate vicinity or on the Ráday street 2,650 feet from the Vivaldi. 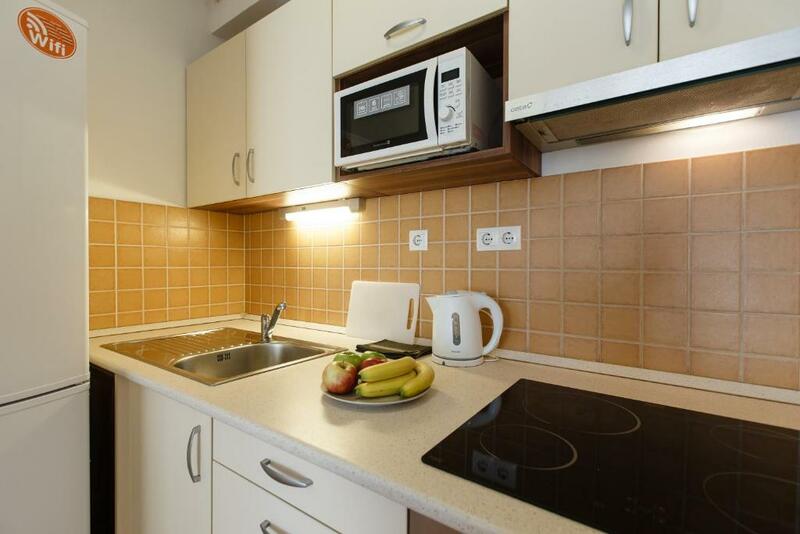 When would you like to stay at Vivaldi Apartments Budapest? This apartment offers a bedroom and a separate living room, a kitchen, a dining area and a bathroom. 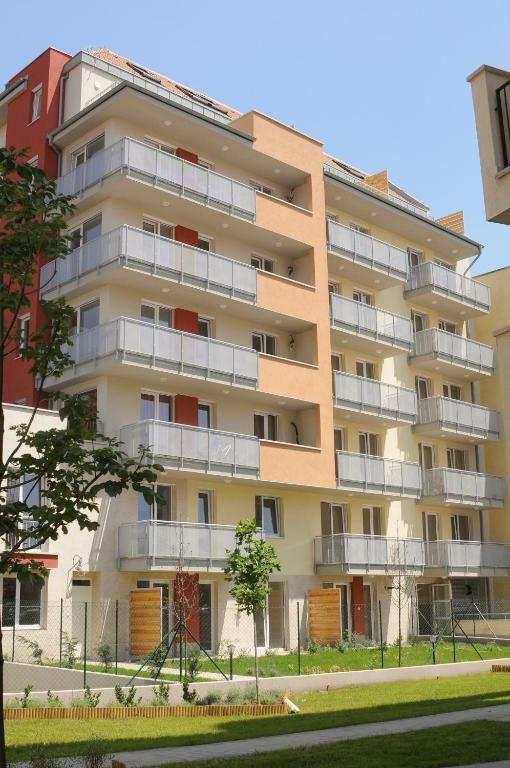 House Rules Vivaldi Apartments Budapest takes special requests – add in the next step! One child from 0 to 2 years is charged EUR 3 per person per night in a crib. 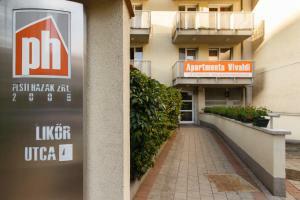 Vivaldi Apartments Budapest accepts these cards and reserves the right to temporarily hold an amount prior to arrival. Please note that not each apartment is air-conditioned. Apartments with air conditioning need to be requested in advance and availability cannot be guaranteed. The property accepts payments via Pay Pal. Please note that the property does not have 24-hour reception. Please inform Vivaldi Apartments Budapest at least 24 hours in advance of your expected arrival time. You can use the Special Requests box when booking, or contact the property directly with the contact details provided in your confirmation. No electo plugs next to the bed, an lcd television would have been nice and the wifi should be better. No housekeeping for days. Cleaned the room only once in 10 days. Microwave was provided but no bowl. How do I cook in microwave then? Accessories in that localization are quite older. creaking furniture and a hard-wearing tap were annoying. Broken glass on Induction hob was little scary during cook. A better overlock of the kichenequipment. If you have a toddler who just learned to walk - don't book this place! Everything is from Ikea so our baby climbed on everything. I didn't have 1 second of peace in that place. The flat is very small for 2 adults and 2 children under the age of 3. There's no coffee maker ... You need to access the flat through doors and doors, a sketchy elevator, and more doors. Double stroller almost cannot fit into the elevator ... If you don't have kids, this is a great place to stay! The rooms were pretty far from being clean, the bedsheets looked like old dirty curtains. For this price we were expecting something ten times better. 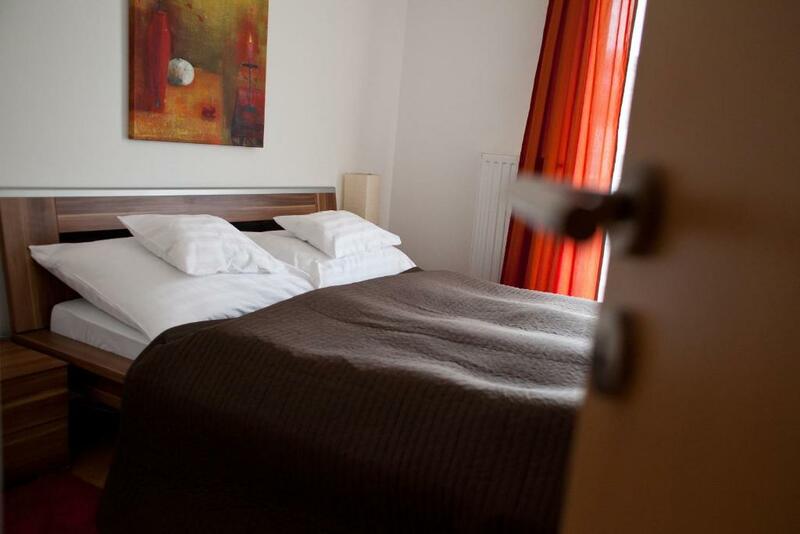 Ok for one night stay, is close to the city center.